2. 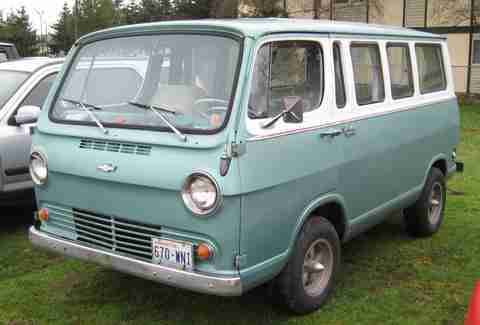 Healy almost named the snack "Pot Chips"
Four years after that van business got started, Healy began experimenting with potato chip recipes. He eventually got the technique down, but before he could launch his new snack line, he needed a name. He wanted to go with a throwback reference, and since people on the East Coast used to call potato chips "pot chips" in the '20s and '30s, he thought that would be a good move. Some concerned family members talked him into a more "traditional" name. 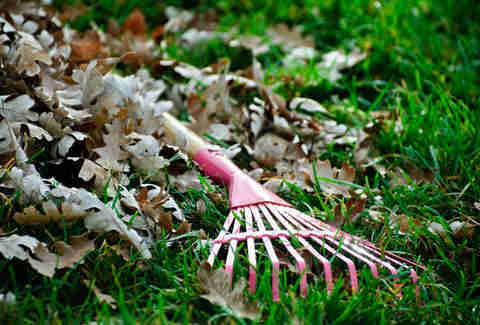 They were probably right at the time, but dude could've made a killing off confused Salem stoners today. 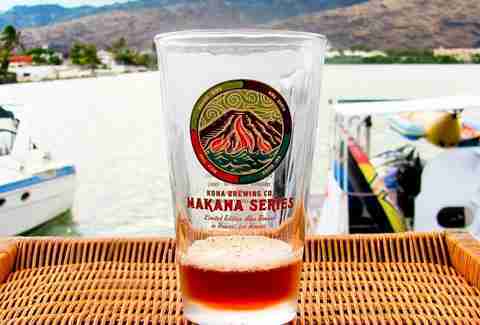 In 1994, Healy teamed up with his son Spoon Khalsa to open Hawaii institution Kona Brewing Company. The place is now the oldest brewery in the state, and has three pubs (including one in the airport) to its name. 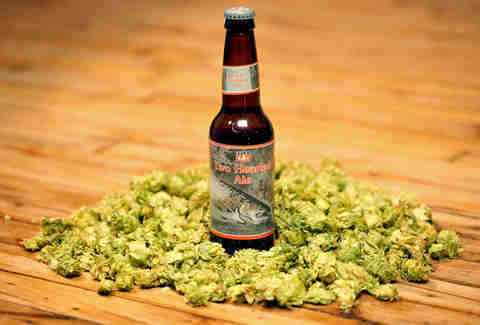 Go Big Wave Golden Ale or go home. Diamond Foods bought Kettle for a whopping $615 million back in 2010. 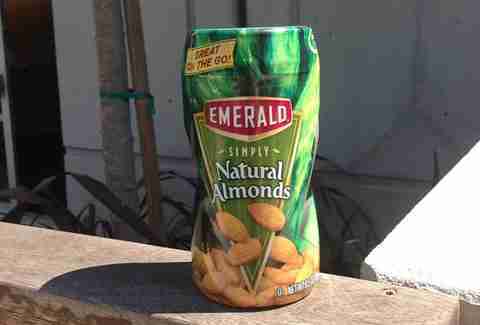 Diamond also owns Emerald Nuts and Pop Secret, so now the brands are all step-siblings. It's not clear yet who is the Jan of the family, but our bets are on Emerald. 5. 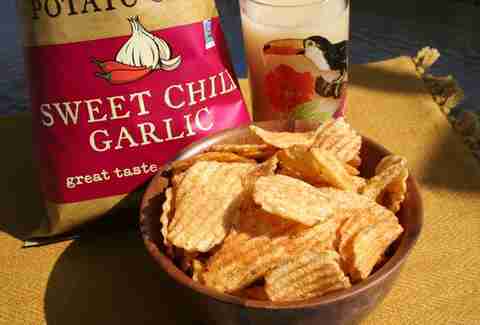 Kettle had its own version of "Do Us a Flavor"
For five years, Kettle conducted its own crowd-sourced chip campaign. 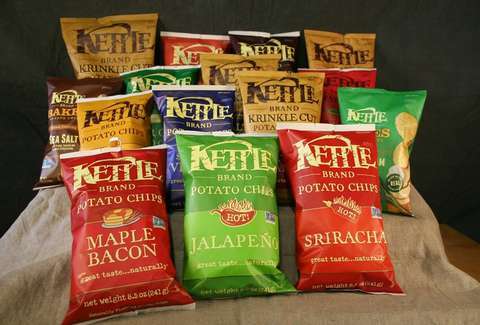 Under the "People's Choice" initiative, Kettle gave fans the chance to vote on their favorite of five flavors that the company brainstormed. The campaign shut down in 2009 with the final winner, Fully Loaded Baked Potato, which is sadly no longer with us. 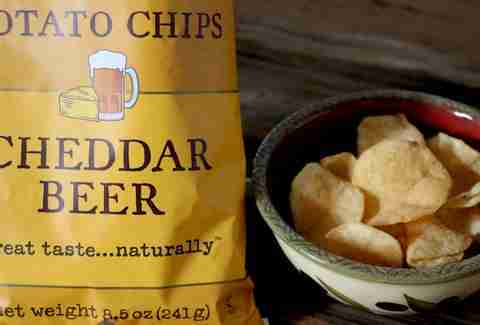 But Cheddar Beer (the OG '05 champ) still is. Kettle has been playing the sustainability game for ages. Its company cars run on a biodiesel made from the plant's vegetable oil waste, and it installed 600+ solar panels on the factory roof in 2003. But one of the more recent environmentally conscious moves also has a charity bent. In May of 2013, Kettle opened a 17-plot community garden. It's irrigated with water recycled from the production line, and the employees plant the vegetables themselves. Only they aren't taking them into the office kitchen for farm-to-table salads. 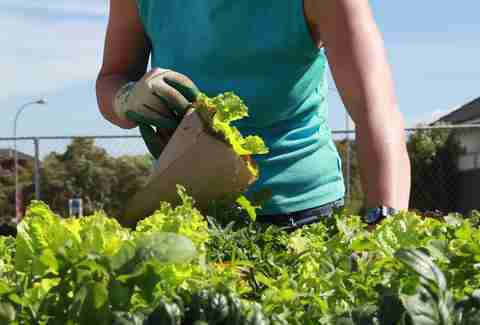 The garden crops go directly to the Marion-Polk Food Share program. So eat another Pepperoncini chip -- you're supporting good people. If you aren't already reading The Beer Wench, you should start now, because she knows her stuff. (Despite what some idiot bros might say.) Two years back, she made some pairing recommendations for Kettle as part of a marketing campaign and they were unsurprisingly great. Honey Dijon and Dogfish Indian Brown? Jalapeño and Bell's Two Hearted?? This list will make you very excited about drinking beer and eating chips, so approach with caution. 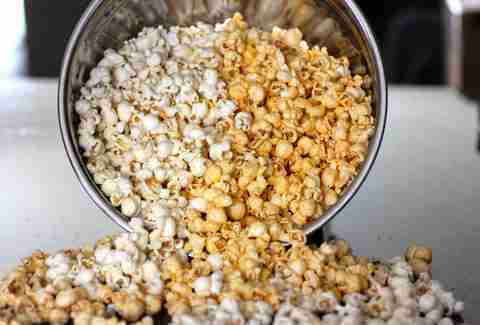 Just last summer, Kettle bravely ventured into the world of bagged (natural, non-GMO) popcorn. It's sticking with just five flavors for now, but expect that lineup to expand as it gets more tips from Pop Secret. We recommend the Sriracha variety, for obvious reasons. At least we hope that's what this guy has listed on his resume. 10. 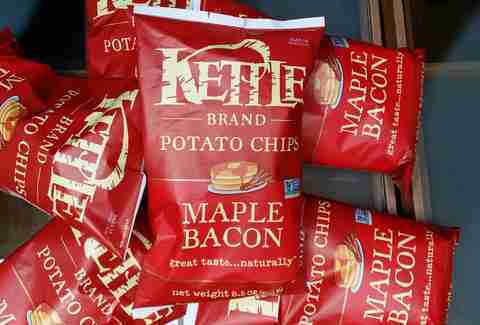 The Maple Bacon flavor is vegan?! Sorry to burst your bubble, pork fiends, but that "maple bacon" is chemically engineered. As you'll see on the official ingredients list, the combination of potatoes, oil, sugar, salt, paprika extract, chili pepper, dried molasses, maltodextrin, and "natural flavors" is 100% vegan-friendly. Kettle even brags about it on Twitter! Natural flavors our foot. Kristin Hunt is a staff writer for Thrillist, and generally does not accept snacks from strangers in vans. Unless it's candy! Follow her at @kristin_hunt.